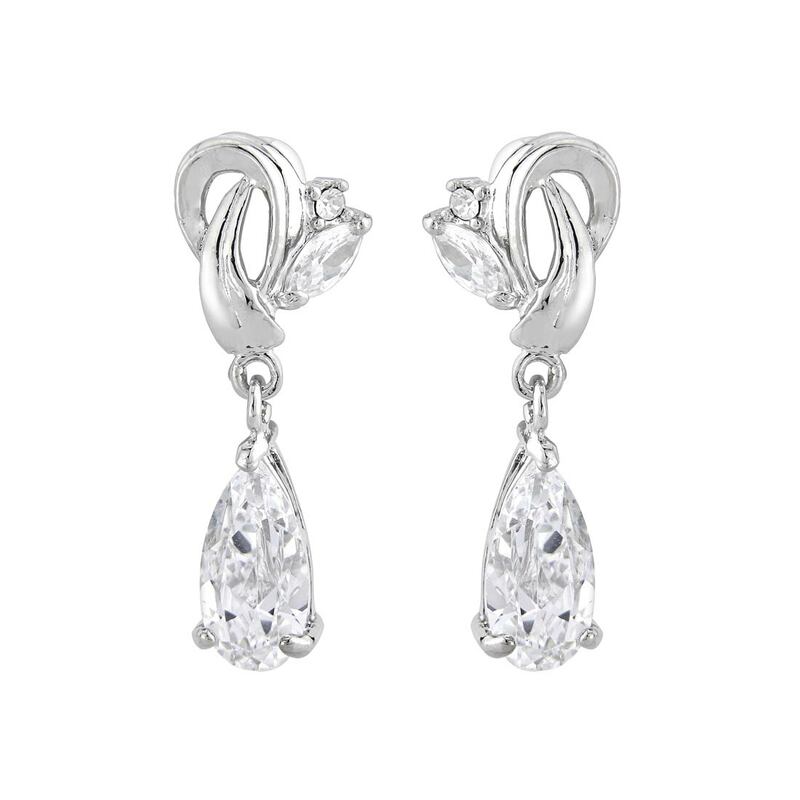 With a delicate drop, these clip on earrings combine bygone glamour with modern style. With understated elegance, our Silver Screen Darling Clip On Earrings are perfect if you adore delicate yet sparkling drop clip earrings. Featuring a glittering single pear cut crystal drop suspended from a silver tone knot embellished with a sparkling marquise cut clear crystal and petite crystal stone, these beautiful earrings feature a screw-back and capture the elegance of precious diamond earrings from the Golden Era. Perfect to wear alone for a lunch date or teamed with a crystal pendant for a glamorous black tie event. Divine clip-on wedding earrings for the bride who adores Hollywood inspired jewellery with subtle and classic style, coordinate with a bejewelled 40s inspired crystal bridal headpiece or hair comb to emphasize the sheer timeless style of the glamorous era.